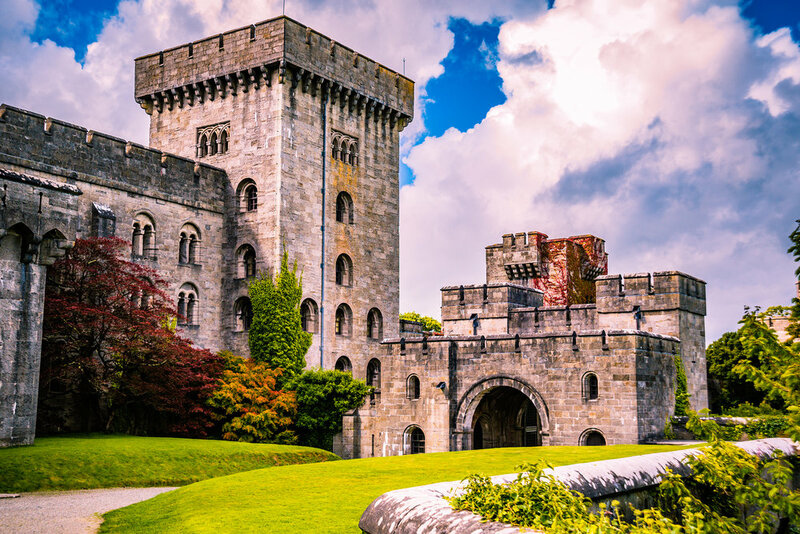 Penrhyn Castle is a mix between a castle and a stately home. Huge stone walls and the structure of a castle yet the homely feel of a home. As a family we love walking around the rooms and dreaming of what it must have been like to live there. We also love to see the kitchens and think of the grand meals that would have been cooked there. You can tell what a house was like by the fact this castle had it's own pastry room. Like most National Trust properties there is lots to see with various guides during the day and if you want to see certain parts of the castle you'll need to go on one of these. We were happy exploring the castle and looking at the rooms. It's well worth a visit if you're in the area, there's also the gardens to enjoy and the stunning views.